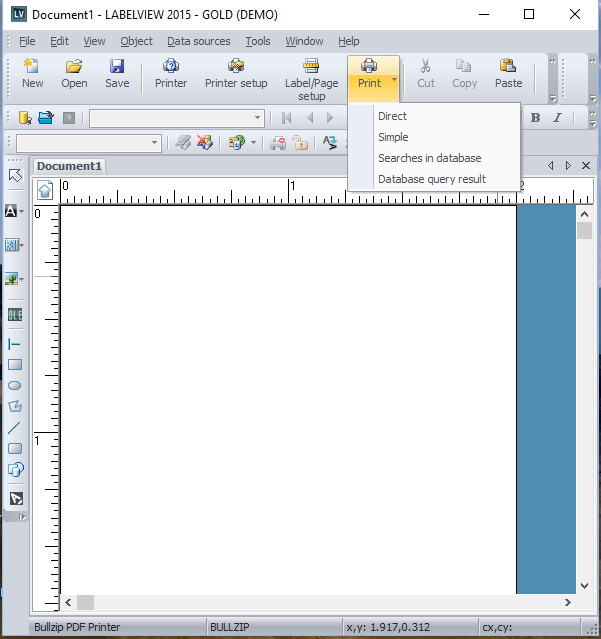 In LABELVIEW, when user clicks the print button on the menu ribbon or from the menu File/Print option, the program prints the label immediately without giving the user the opportunity to change printing options. 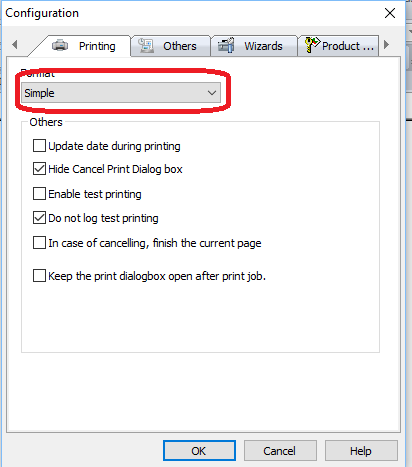 To perform a one time print, user can simply click on the down arrow next to the Print button on the menu ribbon and select simple. From the menu, select Tools/Configuration. 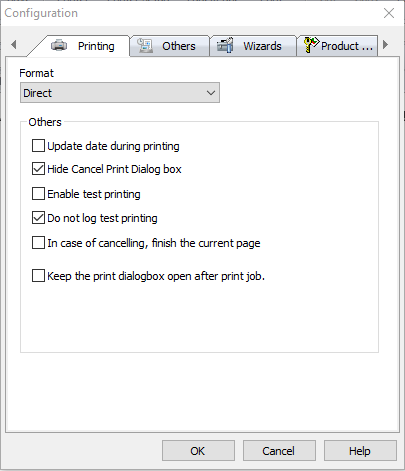 Click on the right arrow on the top of the until the Printing tab appears.